How much do you understand about the stocks you hold? If you can't explain 'em, don't buy 'em. Editor's note: This bonus story from James Cramer, whose commentary usually appears only on RealMoney , was published at 1:08 p.m. EDT. We're offering it to TheStreet.com readers. To read Jim's commentary every day, please click here for information about a free trial to RealMoney. Have we figured out yet that we need to know what we own? When the book is written about investor mistakes of the 1990s, mistakes that wiped people out by the carload when the market turned bad in 2000, the two most glaring errors were two sides of the same ignorant coin: buying only what you knew without homework about whether it was real, and buying what you didn't know but was hot. The first mistake, I used to call "the voting problem." "I really liked Webvan's delivery of food, so I bought the stock." "I had a good experience with eToys at Christmas, so I took some down." "The Amazon site is so great, I have to buy as much as I can." That was all part of the school of thought that said, "Buy and hold," and, "Don't worry, it has to come back because stocks always outperform," without recognizing that companies' fundamentals can deteriorate beyond recognition. And these are, in the end, just pieces of paper. I don't see much of that anymore, except with Google ( GOOG - Get Report), and I am just so glad that Google has earnings so it isn't that big an issue. It will be tougher to sink that company than people realize. But the second issue, knowing what you own, is vexing people again. How many of the people who own Marvell ( MRVL - Get Report) or Broadcom ( BRCM or Qualcomm ( QCOM - Get Report) really know what they own? I believe that very few do. How many people understand what Syneron ( ELOS does, or Intralase ( ILSE? Or Inter-Tel ( INTL - Get Report)? I don't think many do, unfortunately. How do you immunize yourself to this ignorance? One way is to be sure you can explain the product to someone else. Part of the digital revolution that was so damaging to people's wallets was the ease with which they could buy a stock without having to explain why they wanted it to a human. When I was a broker and someone wanted to buy something obscure, I always asked them to explain it to me so I could tell others about it. Often, and this was just at the beginning of the big tech revolution, they couldn't. Take a look at your portfolio. Do you know what you own? Do you know what your companies are levered to -- what spending and investment cycles, what cost cycles, whether it be resin or oil or paper? Do you know what makes the businesses behind your stocks tick? Do you know what the crack spread is, if you own refiners? Do you know how much polyethylene your company may have to buy, or does it use PET? If you don't, take a breath and then get to work finding it out. Or sell those stocks. Because when they get knocked down -- and all stocks get knocked down -- you will sell, not buy more. Random musings: While we're talking about researching stocks, a lot of people ask me to talk more about low-priced stocks. I've got to tell you what I tell them: If you're really serious about this group, you've got to sign up for Stocks Under $10. The team over there -- Will Gabrielski, David Peltier and Mike Comeau -- is always looking for, and finding, exciting names. James J. Cramer is a director and co-founder of TheStreet.com. He contributes daily market commentary for TheStreet.com's sites and serves as an adviser to the company's CEO. Outside contributing columnists for TheStreet.com and RealMoney.com, including Cramer, may, from time to time, write about stocks in which they have a position. In such cases, appropriate disclosure is made. To see his personal portfolio and find out what trades Cramer will make before he makes them, sign up for ActionAlertsPLUS by clicking here. While he cannot provide personalized investment advice or recommendations, he invites you to send comments on his column by clicking here. 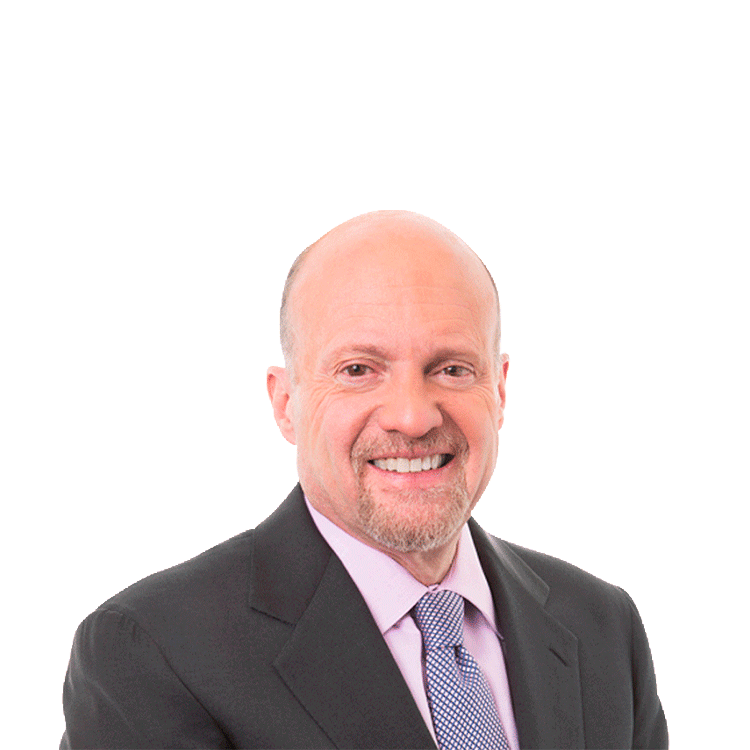 Listen to Cramer's RealMoney Radio show on your computer; just click here. Watch Cramer on "Mad Money" at 6 p.m. ET weeknights on CNBC. Click here to order Cramer's latest book, "Real Money: Sane Investing in an Insane World," click here to get his second book, "You Got Screwed!" and click here to order Cramer's autobiography, "Confessions of a Street Addict."